If the barrage of fundraising letters I am getting is any indication, there are a number of serious issues facing the pro-choice movement these days. Battles are raging in just about every state legislature and every solicitation for money (do they ever write to us to just tell us how things are going?) 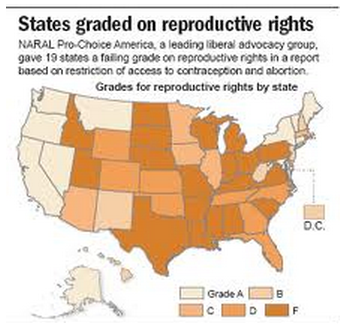 has a common theme, which is access to abortion services are being restricted. Whether or not requiring a woman to get an ultrasound before an abortion restricts her access to abortion is a question that I cannot answer at this time. We’ll just have to wait and see. But it is no secret that the number of abortion providers/abortion clinics has decreased over the years. Of course, part of the reason why there are fewer abortion clinics is that the number of abortions has declined and an abortion clinic, like any other business, has to have a certain number of patients to pay the rent, buy supplies, pay staff, etc. If the number of people using the facility decreases, that facility may be forced to close. Indeed, in the ideal world, there would be no abortion facilities, right? One thing that has always intrigued me when we talk about access to abortion is how our pro-choice friends bemoan the fact that fewer hospitals are performing abortions. Well, I gotta tell you that if I were counseling a woman right now, I would tell her stay as far away as possible from any hospital if she was looking for an abortion. Let me explain. Abortion is a specialized form of medicine. It’s not like going to your local orthopedic surgeon to get a lipoma removed. In that case, you have your quick first meeting, the doc tells you it should be removed, you make your co-pay and you schedule the outpatient surgery. Two weeks later, the lipoma is gone. Wham bam, thank you ma’am. Even though the surgery is just as simple as having a lipoma removed, a woman seeking an abortion has a lot more to deal with – as do the staff at the abortion clinic. 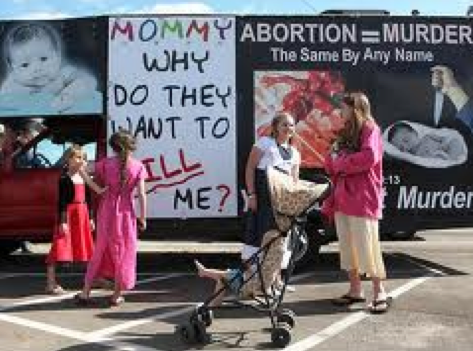 With variations on the theme, the women receive counseling about the abortion procedure, possible post abortion reactions and they may even delve into other more personal issues if the woman is so inclined. Then they discuss forms of birth control that the woman might use to prevent her from coming back. Of course, the patient might also have to deal with the possibility of anti-abortion picketers outside the facility and the stress that that might add to an already stressful situation. If a woman has received the abortion pill, the staff is on call for the woman through that multi-day process. So, abortion clinic staff and their doctors are used to dealing with women not just from the physical side but the emotional side. There is even an organization – the National Abortion Federation – that hosts annual meetings where abortion doctors discuss the provision of abortion of abortion services and how to make the experience a more comfortable one for the woman. Now, think about your last visit to a hospital. Not very warm and fuzzy, wouldn’t you say? And if you went in there for an abortion – assuming you found a hospital that does them – you would not be entering a comforting environment. You surely would not receive any counseling about the procedure, no discussions about how to avoid an abortion in the future, no advice on birth control. 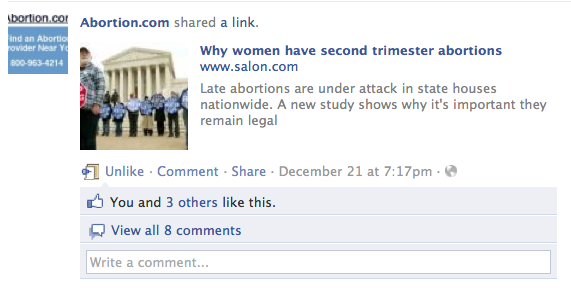 Even worse, you might be working with some staff people who are actually anti-abortion. Yes, there are conscience clauses out there, but you always run the risk of getting a nurse who is pro-life, so you know they are not going to sit there and hold your hand during the procedure. The only advantage to going to a hospital might be that there would be no protestors and you’d be in a big waiting room with others and no one would know why you are there. But I would prefer to go to a place where there are experienced staff people who have dealt with the abortion issue from all angles – the medial and the emotional – than going into a sterile hospital where you’re basically on your own. . The average price for an abortion at an abortion clinic is about $350. Believe me, it’s worth it. A short while ago, I got the word that there would be a “big protest” in front of Germantown Reproductive Health Services, an abortion clinic in Maryland. It’s the clinic where Doctor Lee Carhart works a few days a week. It had become a “famous” gathering site because Doctor Carhart performs later abortions. It had been years since I actually saw a protest and a while since I had talked to Lee, so I decided to drive up to the event. When I make the left hand turn off the main road that morning, I was immediately confronted by the usual “Big Dead Fetus Truck,” as we used to call them. I am, of course, used to the pictures but I couldn’t help thinking about a mother and her child innocently turning that same corner and seeing this ugliness. It was a big crowd, maybe four hundred anti-abortion protestors. They were standing on the sidewalk in front of a large office complex and the clinic itself was in the back, not visible to the protestors. What struck me right away was the silence. I have been so used to loud, blaring bullhorns, people screaming at the patients, escorts and staff at the top of their lungs. This event, however, was different and it seemed like anti-abortion activists may be exploring different ways of making their point. Except for the truck, there were no other gross signs. People weren’t screaming. Instead they were singing and praying quietly in groups. Some were carrying signs, but they were mostly signs about “regretting” ones abortion and other low-key messages. There were several county police cars patrolling the area and I do have to say that I was disturbed to see them just watching a woman near the car entry way practically stopping card by holding out brochures for them to take. 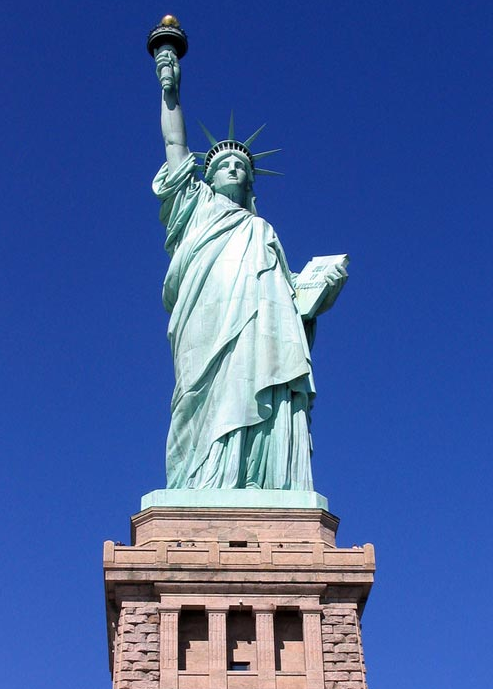 I felt it was obstructing vehicular traffic, but the police let it go. I wanted to visit Doctor Carhart, so I walked up to a police car. They were understandably suspicious of who I was so I told them I would call Lee from my mobile phone. I got him right away and he said of course I could come in. So, I just told the police and they waived me in. Later, I got chills thinking that I could have been a clever assassin who really wasn’t talking to Lee Carhart. Yes, I still might have had a tough time actually entering the clinic because they had a buzzer system, but I also could have just waited right outside the clinic door where there were absolutely no cops. When I left the clinic, I hung around, not talking to anyone except a few pro-choicers across the street, including Todd Stave, the founder of Voice of Choice, a group that organizes hundreds of phone calls to particularly aggressive anti-abortion protestors. Then, I dove back into the crowd and, to be perfectly honest, was totally bored. And I guess “boring” is okay in a situation like this. They are exercising their right to free speech, they are not threatening anyone. The cops are there to keep the peace if necessarily (although a little loosely) and every woman got to the clinic with no incidents. 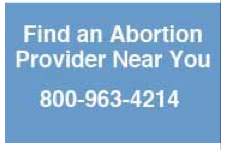 The website, www.Abortion.com, has been providing a useful service to women seeking abortions for many years. The site is a simple directory of abortion clinics throughout the country and hundreds of thousands of women have used it to procure abortion procedures. Recently, the owners of the website added a new feature that should be applauded. 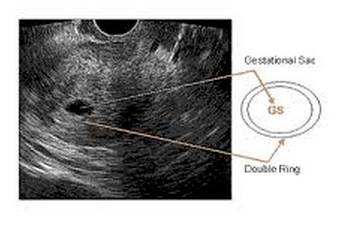 The vast majority of abortions are performed in the first trimester. Sure, the anti-abortion movement likes to make it look like every abortion is performed hours before birth but that is simply not the case. However, the Roe v Wade case did allow abortions to be performed in the third trimester for extenuating circumstances. 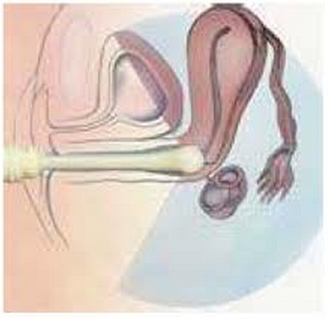 Generally, those abortions are performed when the pregnancy has gone terribly awry. In this country, one in every thirty-three children is born with a birth defect. Most of those defects are mild and can be managed surgically. However, for some, the outlook is not so good. Some babies will be severely challenged for life and some will simply not survive after the birth. In some of those cases, a woman will reluctantly elect to abort that child. As you can imagine, it is an incredibly difficult situation for everyone involved. And before any anti-abortion folks suggest that these “defects” are very minor, I can tell you personally that I have seen what can happen to a baby in utero. I have seen babies with two heads. I have seen babies with their heart growing outside of their body. It is absolutely horrible stuff. When faced with this situation, it is very difficult to find a doctor in this country who will perform these physically and emotionally difficult abortions. Perhaps the most well-known late term abortion doctor was Doctor George Tiller, who was murdered over a year ago by a crazed anti-abortion zealot. In response to Doctor Tiller’s death, however, an unassuming physician from Nebraska stepped up publicly and announced that he would fill that void and perform those difficult abortions. His name is Doctor Lee Carhart. Doctor Carhart got his training in Pittsburgh and since 1998 he worked with Doctor Tiller at his clinic in Wichita, Kansas. After Tiller’s death, many members of his staff moved to Nebraska to carry on the Tiller’s work. As you can imagine, Doctor Carhart has now become a target for the anti-abortion movement and he has had to spend a considerable amount of money on personal security for him, his family and his staff. 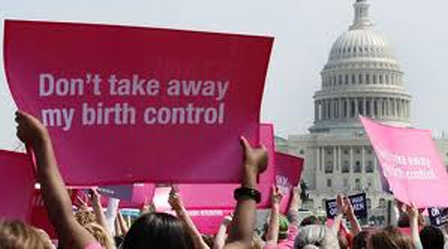 The women who go to Doctor Carhart – women from all over the world – do not want to be there. These are wanted pregnancies that have gone terribly awry. They have elected to abort their child, an action that most of us (fortunately) could never comprehend. In response, Doctor Carhart offers some very unique services for these women. They include the availability of a chaplain, they will take hand and foot prints of the baby, they can arrange a cremation by a licensed Funeral Director and will return the ashes if so desired. They will take pictures of the baby. Yes, I know this is heart wrenching and it is hard to believe that these services are out there but Doctor Carhart is responding to the hundreds of women who are, in their mind, forced to undertake this very difficult step.